Over a year ago (maybe two years ago, I don’t remember exactly…) my friend Beth posted something on facebook about making her own laundry detergent and I was intrigued. 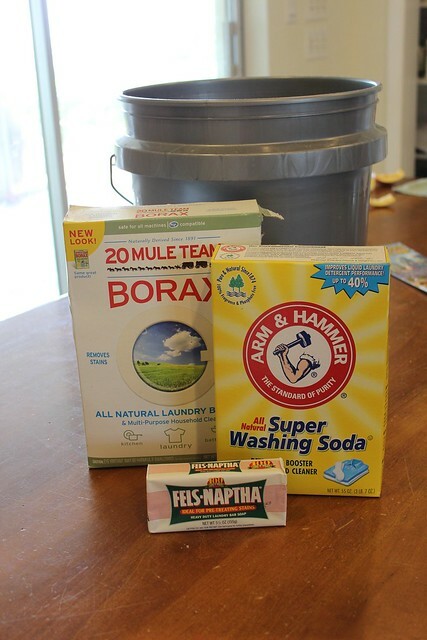 I had no idea you could make your own laundry detergent! She said it was easy and I only needed 3 ingredients plus a 5 gallon bucket and an empty laundry detergent bottle to dispense a small amount for regular use. I decided to give it a try. It certainly wasn’t expensive, and if we liked it would save a TON of money over time. I made it for the first time last year and didn’t have to make it again until this weekend. It turns out that 10 gallons of detergent lasts a long time. 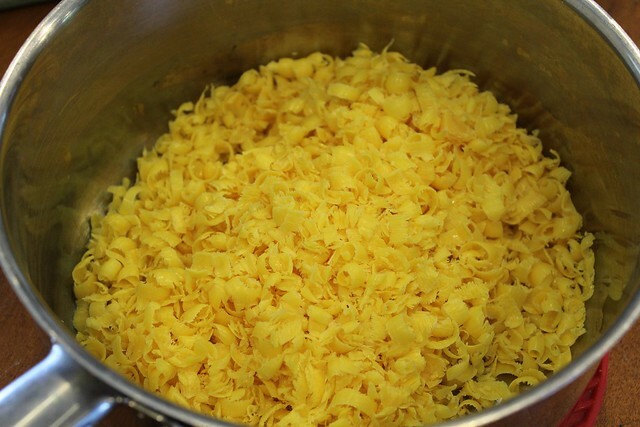 Grate the bar of soap into a decent sized pot and add 4 cups of hot water, Heat the soap and water mixture over medium heat until the soap is dissolved. Stir frequently and don’t boil it. The next day, stir it up and fill up your empty laundry dispenser 1/2 full with your new laundry detergent and fill it the rest of the way with water. Cover and shake. Ta-Da! you now have homemade laundry detergent. I use this for all of my dirty clothing (except my sweaty running clothing. I have to use special sports detergent for that) It is a low sudsing detergent, but it definitely gets my clothing clean. And I laugh every time I don’t have to buy laundry detergent at the supermarket.